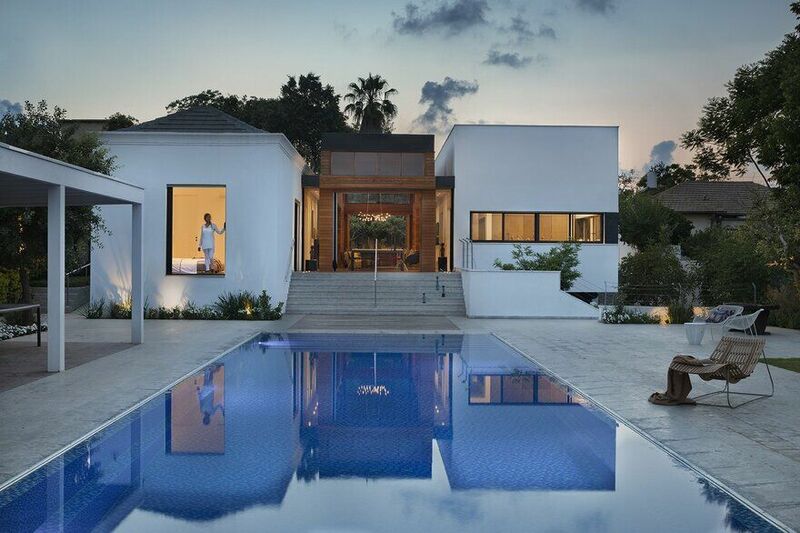 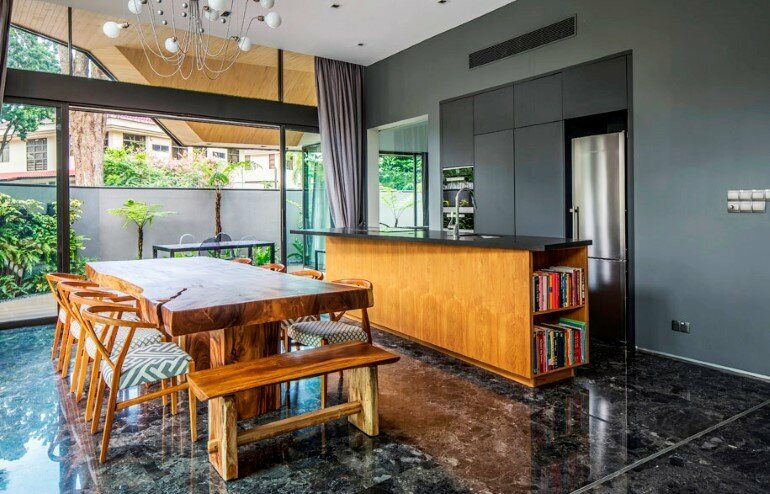 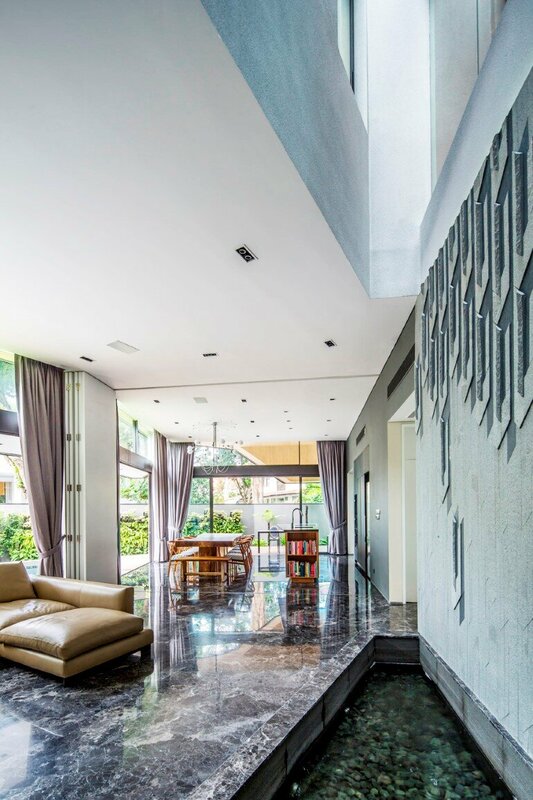 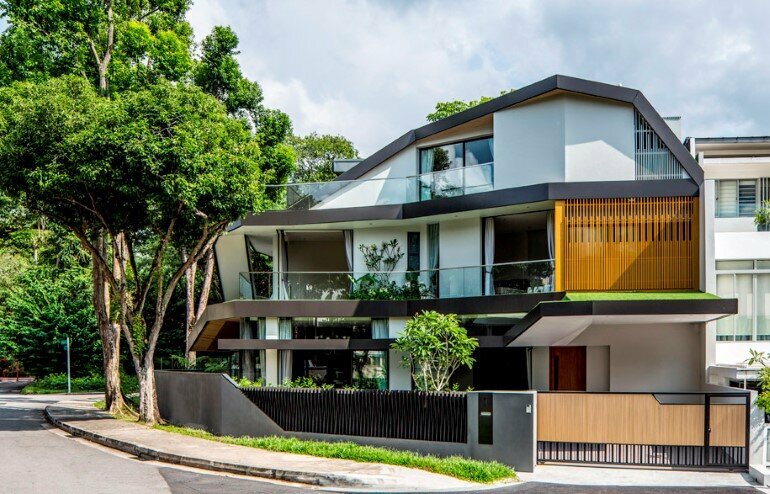 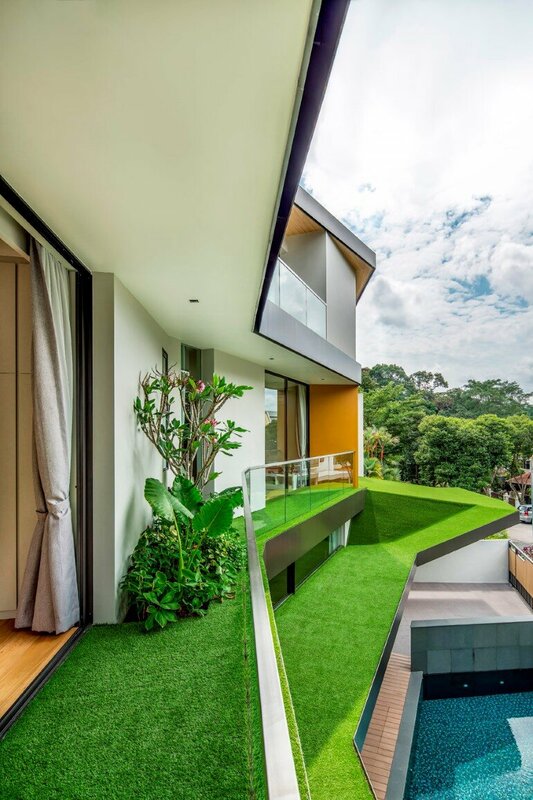 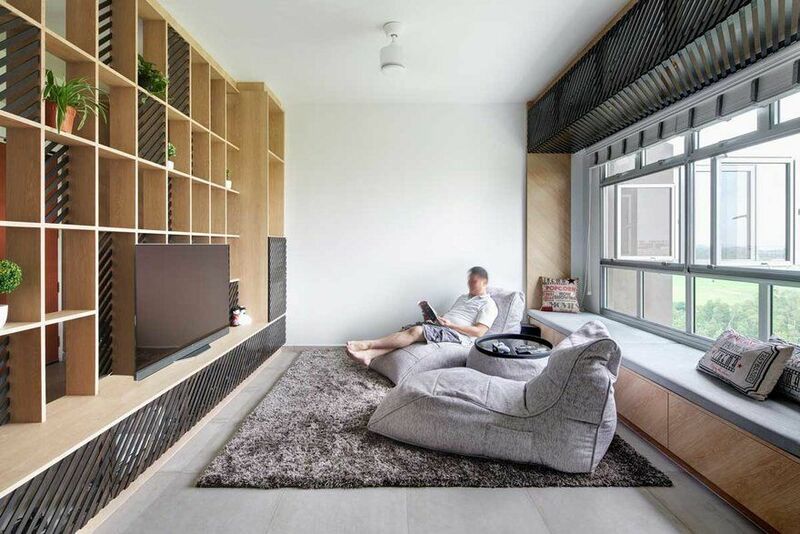 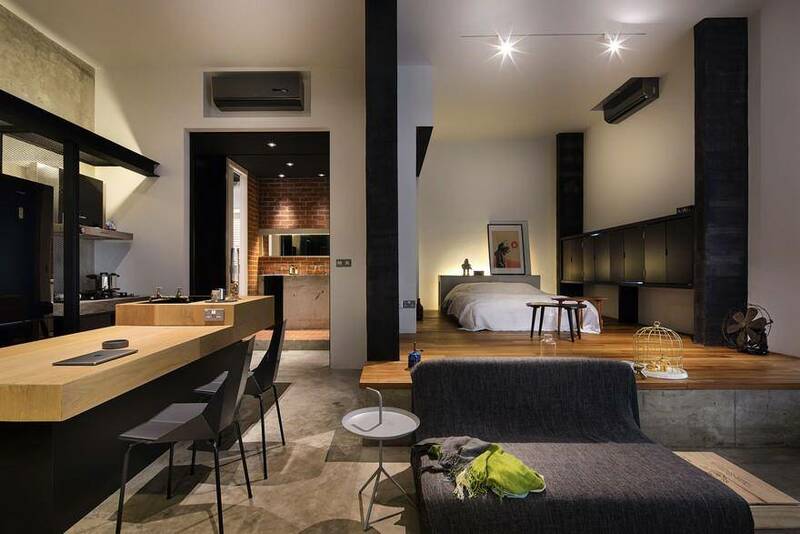 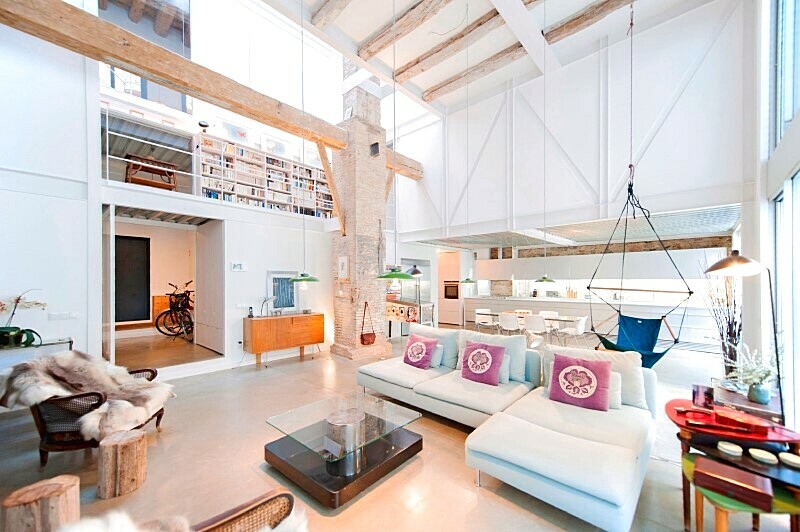 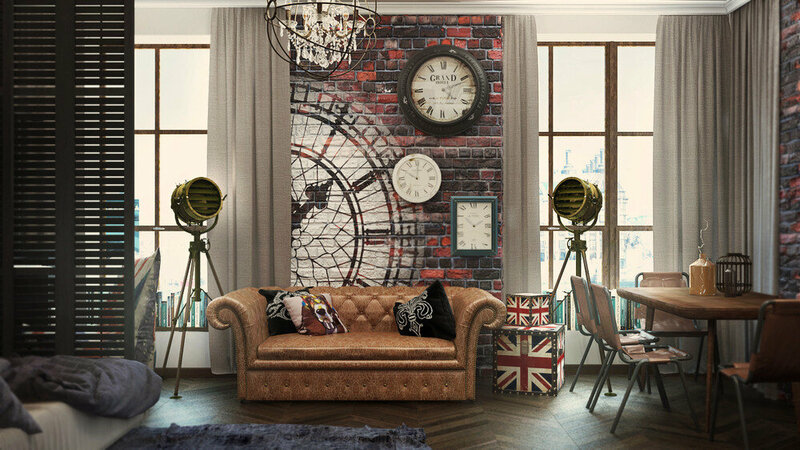 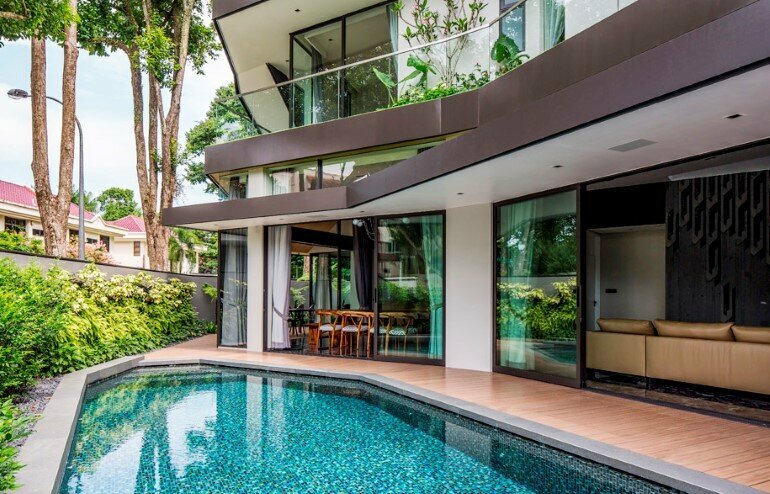 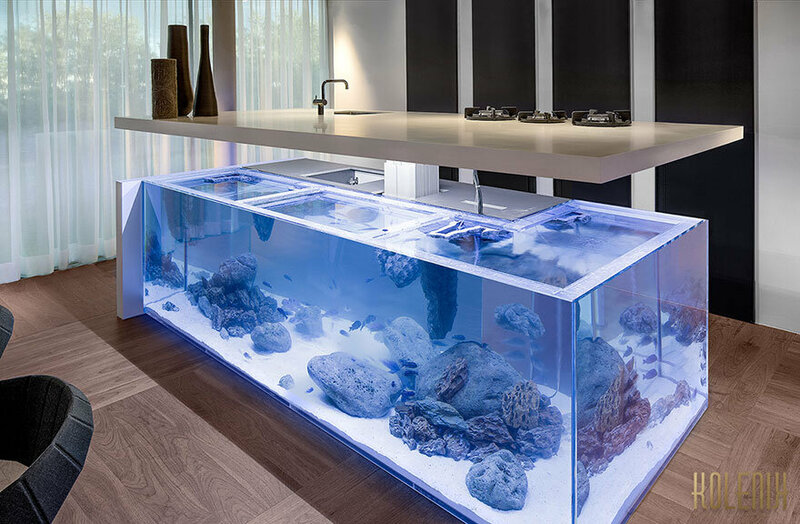 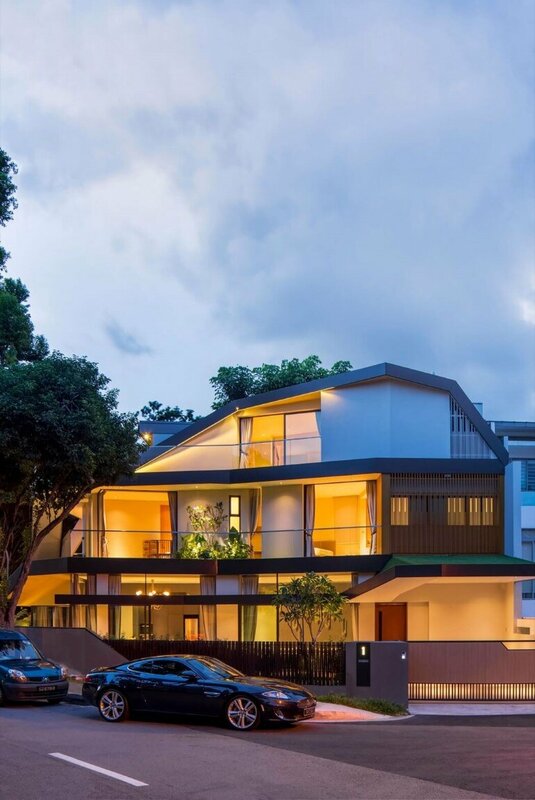 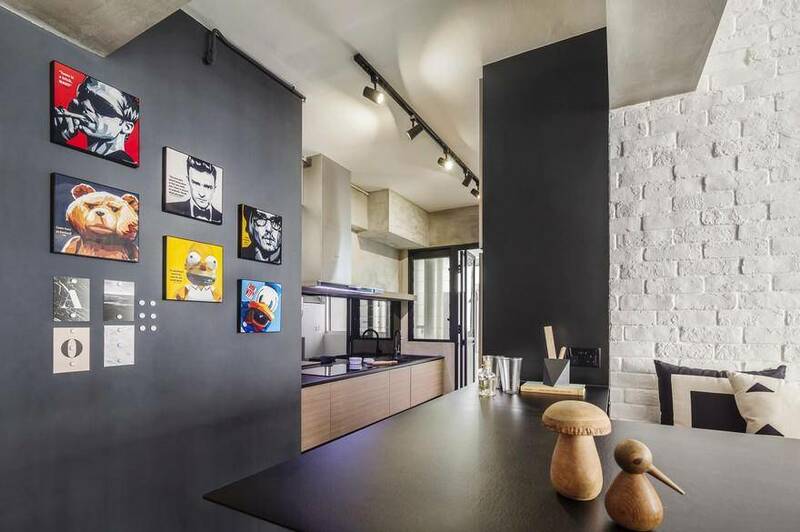 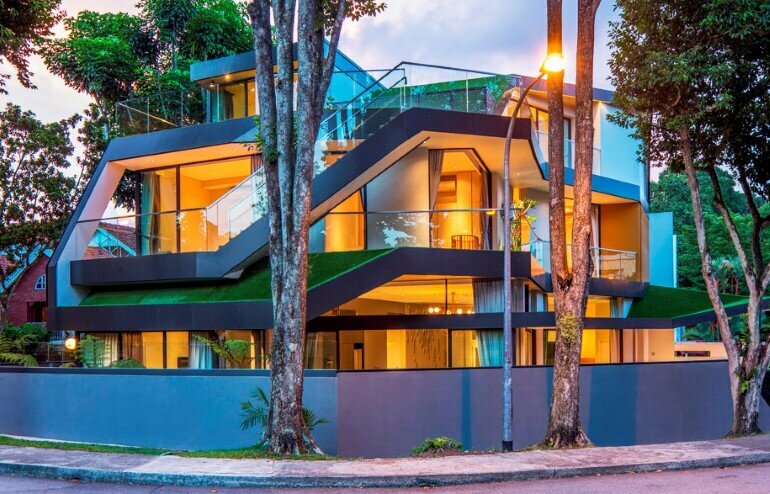 Trevose house is a home for a large family, designed by Singapore-based AD Lab Pte Ltd. 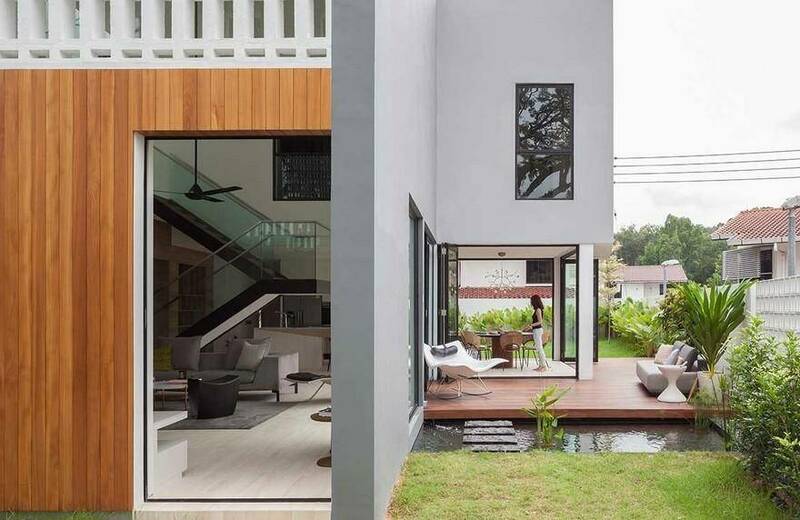 The architects were able to fulfil the ambitious accommodation needs of the owners by creating a highly compact building form with a small courtyard to bring light and air into its centre. 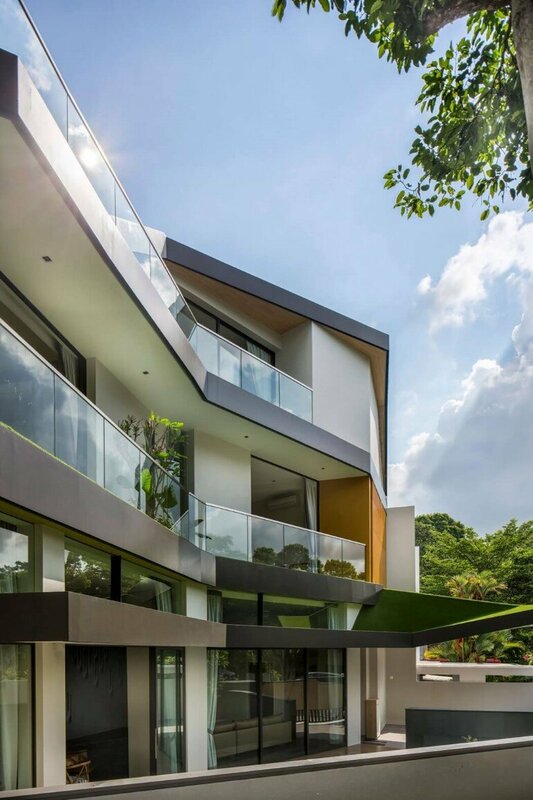 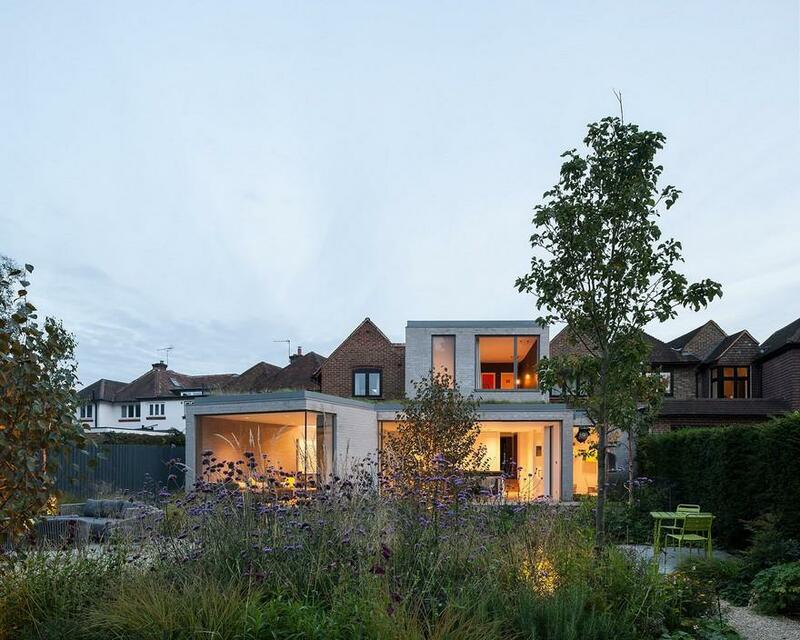 In order to replace the displaced garden, they designed a large garden veranda that wraps in a spiralling motion around and up the external facade of the house. 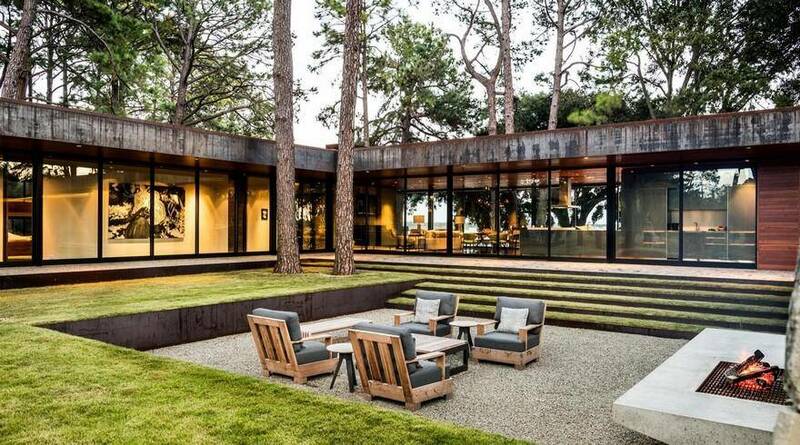 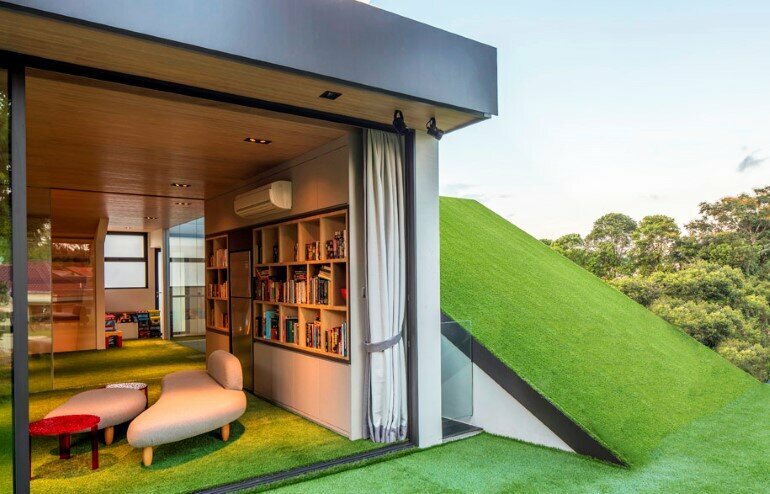 This veranda is planted with greenery and visually continues onto the main roof with a green lawn that wraps over the roof forms. 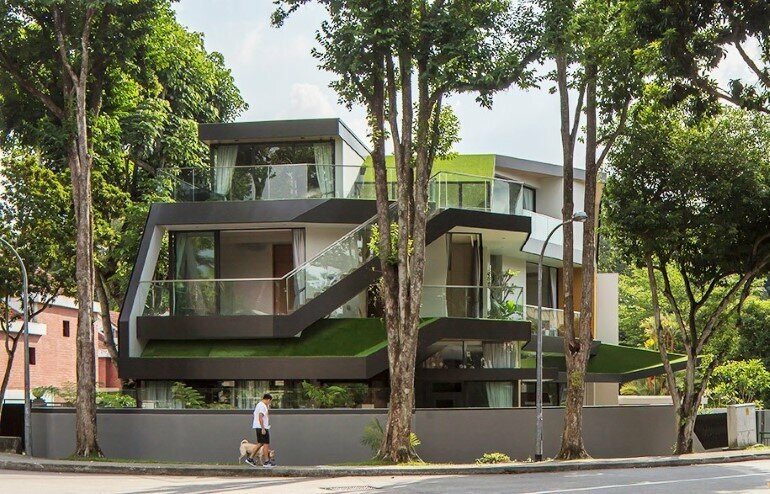 This architectural language of encircling green landscape around the building resonates with the quiet planted road verge and sidewalks that wrap around the site. 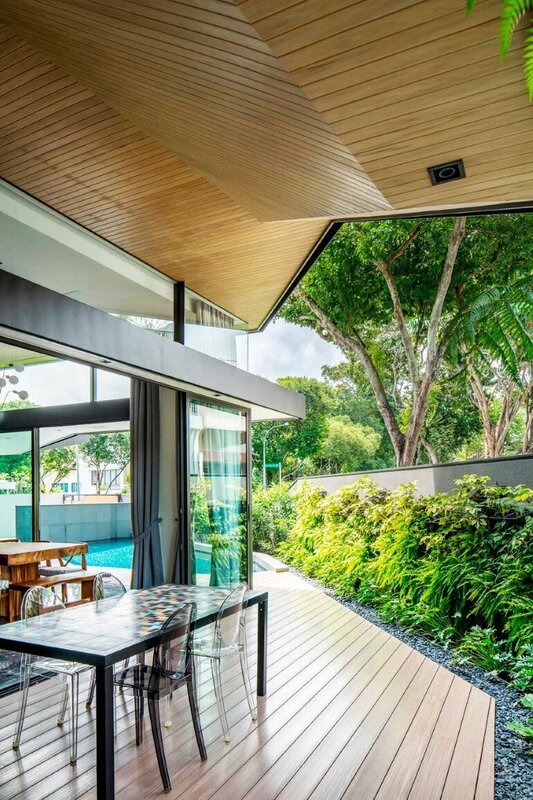 Aside from gently merging the building into the site, these long winding verandas also serve as extensions of the individual rooms and link the various spaces of the house, creating a sense of connectivity where the owners are have a comfortable garden space where they can all meet and come together as a family.